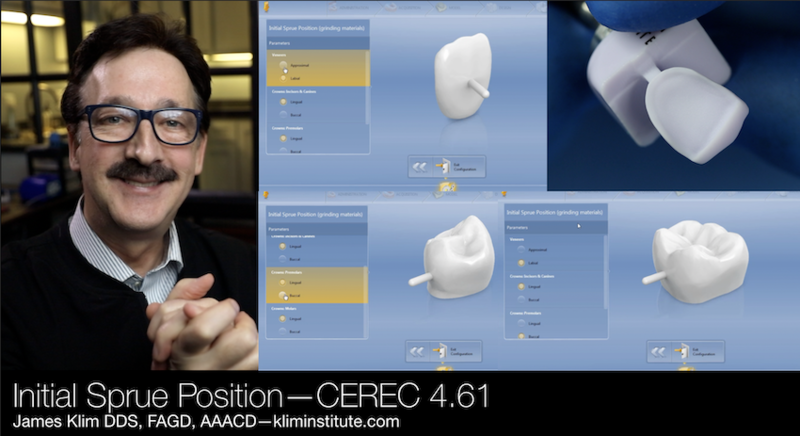 There is now a sprue location preset in the CEREC software that provides default time savings. In Configurations under Settings, the software allows the user to preset sprue location preference for veneer, anterior crowns, premolars, and molar. I do appreciate this. In the heat of the day with a busy schedule, sprue location can easily be overlooked before the mill. If the sprue location can be placed other than a proximal surface, significant time will be saved, and the user can count on the restorations proximal contacts fitting well without adjustings.